Above: Deeley Release - A latch for securing the forend to the barrels of a break-open gun, operated by a short pull-down lever mounted to the center of the forend. 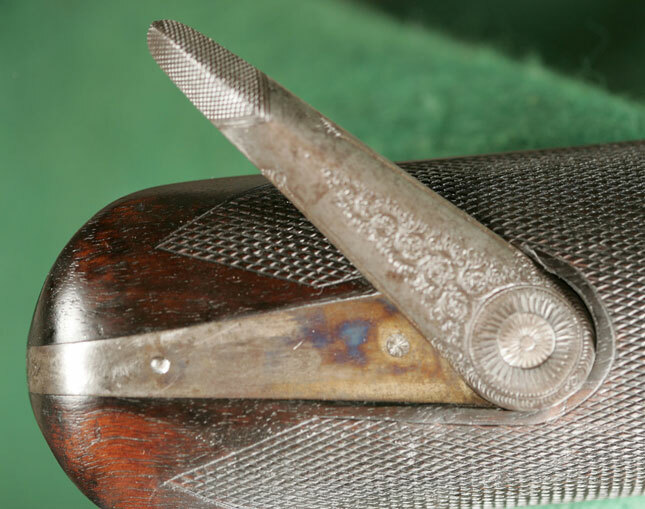 Typically seen on Parker and Prussian Charles Daly guns. More properly known as a Deeley & Edge Fastener. Below: Anson Release - A latch for securing the forend to the barrels of a break-open gun, operated, via a longitudinal rod, by a pushbutton exposed at the very tip of the forend. 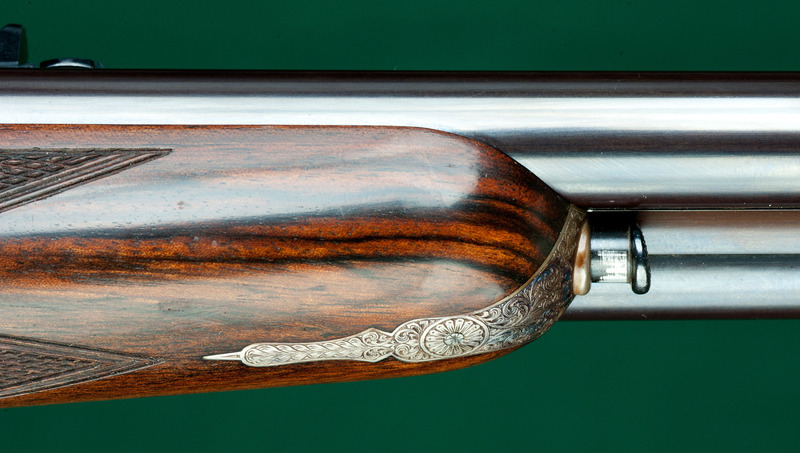 Typically seen on Purdey and Boss guns. Sliding latch, directly above, of the Anson release, as operated by the rod and its terminal pushbutton at the front tip of the forend. Lever Release - A latch for securing the forend to the barrels of a break-open gun, operated by swiveling a lever to the side. Although slightly less ergonometric, it provides a more positive lock than either of the above. Primarily used on double rifles. 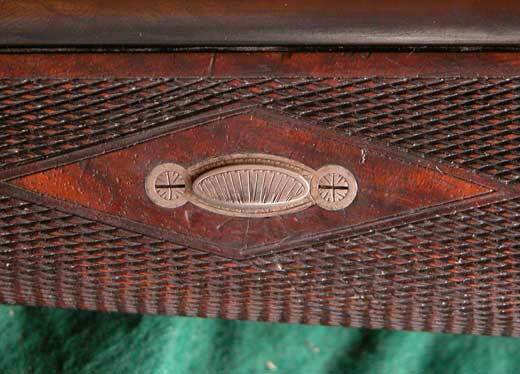 Crosspin Fastener - A horizontal wedge, press-fit through the forend of a vintage gun, through a lump attached to the underside of the barrel and out the other side of the forend. To secure the forend in position. Also called a key or a wedge fastener.